Sun Lakes Arizona is chock full of delicious and nutritional citrus of all varieties! 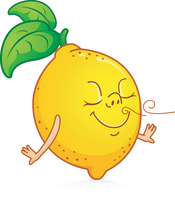 Lemons, limes, oranges, grapefruits, tangerines and all sorts of varieties are ripe and ready to devour. Problem is most cannot consume or share enough with neighbors to use it all. Sun Lakes Citrus Sharers are out again this year until March 15th to pick surplus fruit which is donated to local food banks. Volunteers are needed to pick fruit on Saturdays and Mondays. What a great way to volunteer a little time with friends and neighbors for such a worthy cause. If you have citrus to share or have an interest in volunteering contact Linda Everett at leverett_99@yahoo.com or call Linda at 480-895-8325. You will be glad you did and so will those who rely on food banks for their food source.